Three English teams now chasing Barca star.Liverpool’s move to sign Alexis Sanchez from Barcelona as part of an exchange deal involving Luis Suarez could be complicated by interest from Arsenal and Manchester United, according to the Daily Mail. The Chilean winger has been the subject of much interest from top clubs this summer after it has emerged that Barcelona could be willing to let him leave for the right price, as new manager Luis Enrique embarks on something of a squad overhaul at the Nou Camp ahead of next season. 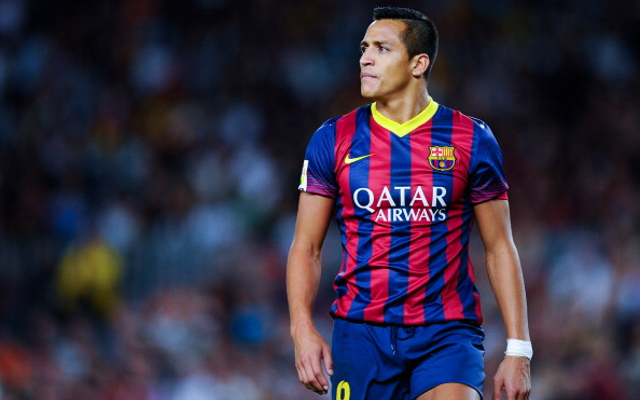 Although Sanchez hit some of the best form of his career in Barca’s overall disappointing 2013/14 campaign, it seems that he is one of the players who could be shown the door, with suggestions that Liverpool want him as part of any deal that would see Suarez move in the opposite direction. Still, Arsenal and United are also long-time admirers of the attacking midfielder, who is currently enjoying an impressive World Cup campaign with his country, and could also make him offers to come to England. The Red Devils are expected to make an opening offer of around £22m, though they may struggle to persuade him to move to Old Trafford given the lack of Champions League football on offer at the club next season.